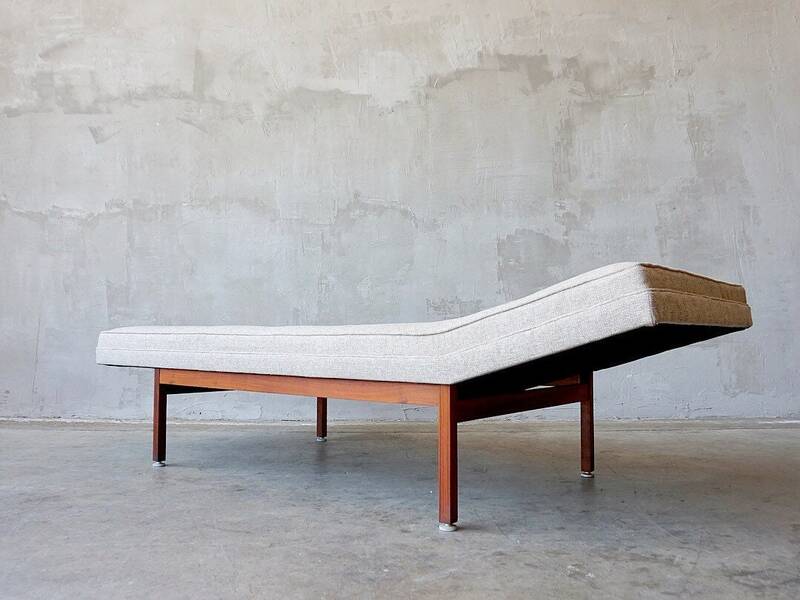 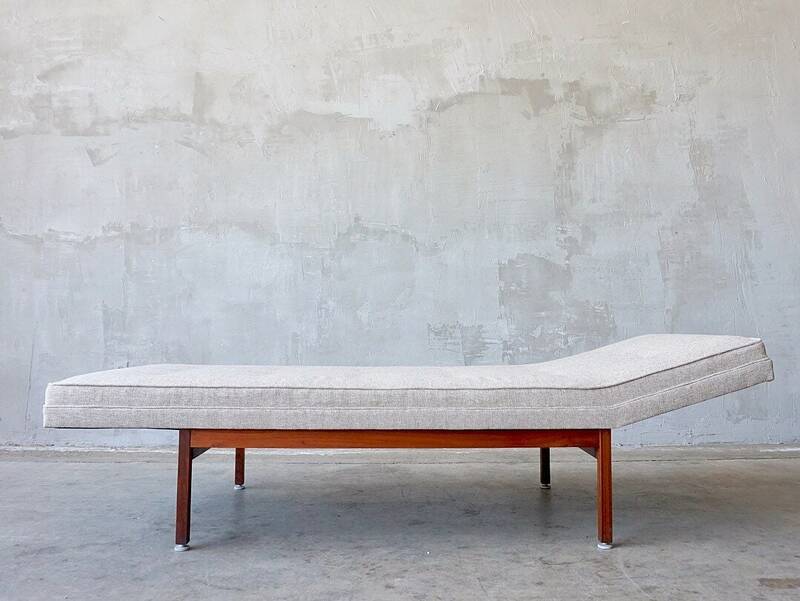 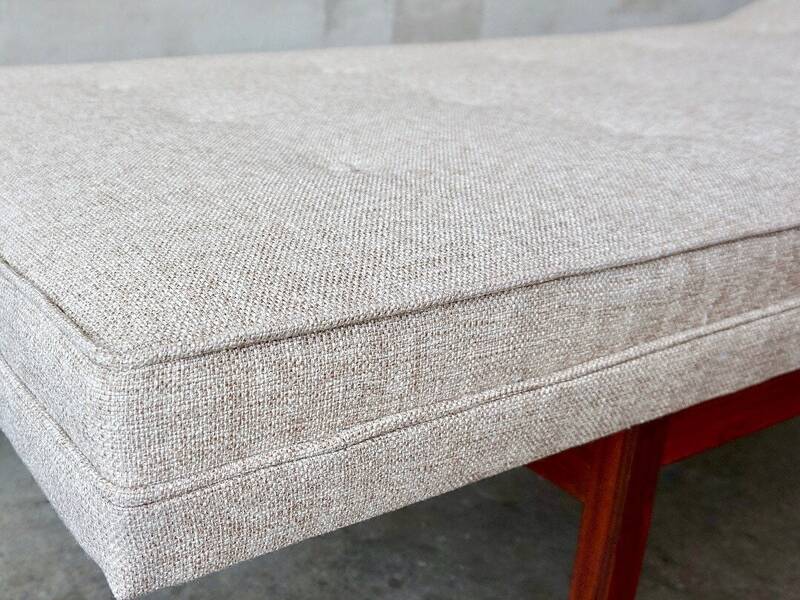 Perfectly austere daybed newly upholstered in button tufted oatmeal tweed with solid walnut framing. 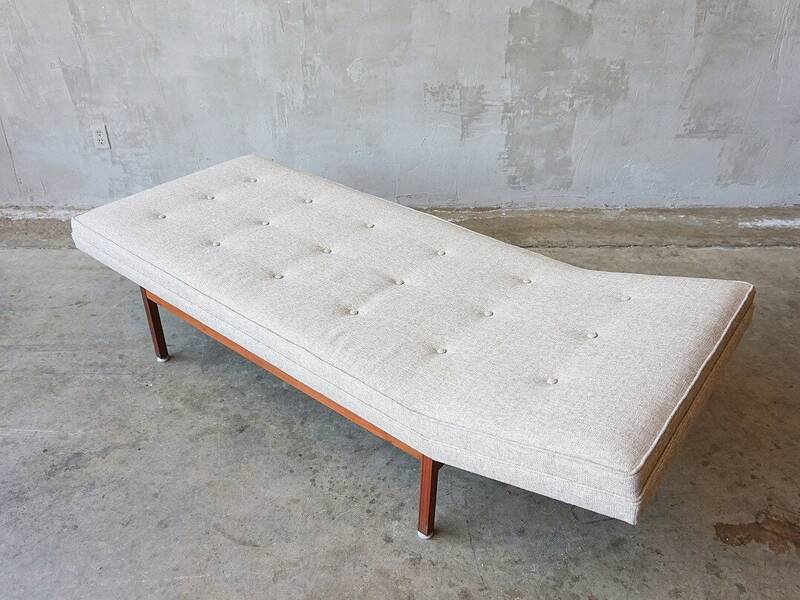 Unknown manufacturer, likely dating to 1960s. 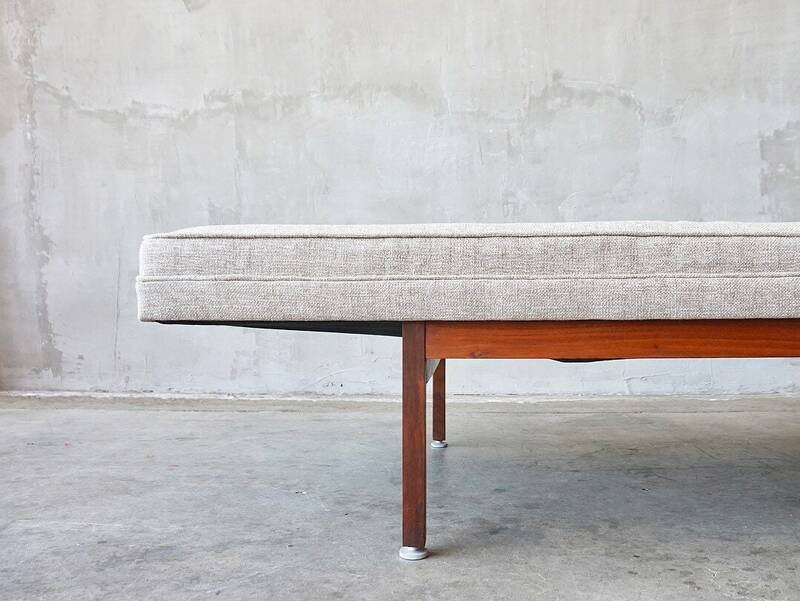 Measures 76”L x 32”W x 22”H.